Lauren graduated from Gannon University in 2009 with a Bachelor of Science degree and earned her Doctorate of Physical Therapy in 2011. 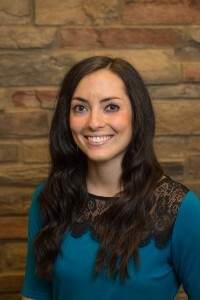 Before joining the Hertel & Brown team, Lauren spent two years in inpatient rehab physical therapy, where she primarily treated patients after stroke, traumatic brain injury and orthopedic surgery. Lauren is certified to treat concussion (mTBI) and has completed advanced training in vestibular rehabilitation, approved by the American Physical Therapy Association. She specializes in vertigo & dizziness, balance disorders, and fall prevention. Lauren is also Direct Access certified, which allows her to see patients without a physician referral. This includes extensive education in differential diagnosis and medical screening.